Make sure both your car and caravan have been serviced, including wheel bearings on the van. 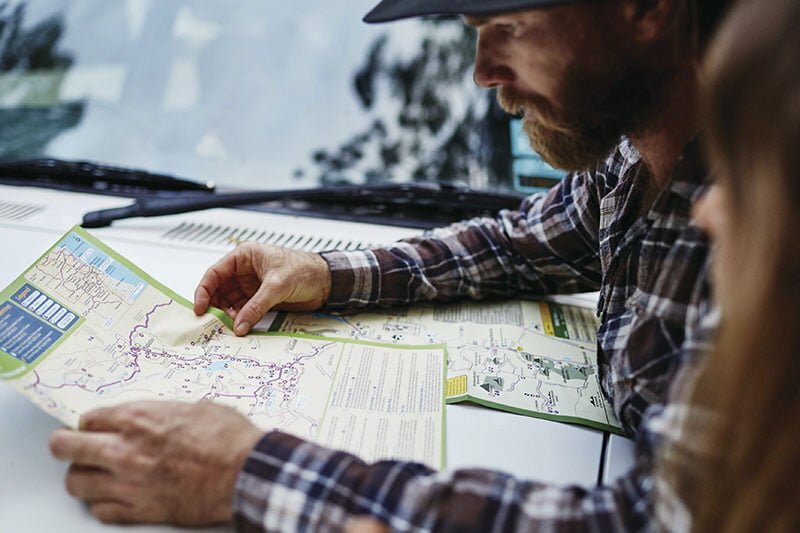 Use reputable companies and tell them your plans so they can check that you are thoroughly prepared and appropriately set-up for the trip. This includes tyres and thinking about where the weight should be. If you don’t know about proper weight distribution, speak to someone who understands and will help you pack if necessary. One common idea is to place 60 per cent of the load forward of the axle, with 40 per cent rear of the axle. Remember, the better you are prepared, the more peace of mind you will have. Some people like to have a day-by-day itinerary before they start, while others want to meander and see where the road takes them. Each of these personalities is fine, although they would think the other way is crazy! However, whichever way you do it, you need to be aware at least roughly where you are going. The road conditions, the weather, the season (as in school holidays, Easter break) will impact on where you stay and how you will get there. If you are going in school holidays, for example, you will probably need to book. If you are planning to bush camp all the way, do some research on the areas you are interested in. Long distances require more fuel stops so check there are fuel outlets if you are away from populated areas. 3. KEEP AN OPEN MIND! One of the joys of travelling is learning from other travellers. Always chat to them or have happy hour as you will learn heaps about all sorts of things – the best fuel prices, recent road conditions, places to stay, good spots to eat, activities you might like to try. By doing this, we have had some unexpected and amazing adventures, like finding gems and digging up dinosaurs. 4. FUN ON THE ROAD! Make it easy for yourselves when you get going. The budget may be tight, but build in the occasional takeaway meal or one at a restaurant or café. Have a supply of ingredients and frozen packs that make cooking a quick and easy task. Take a break every two hours when you’re driving and have a cuppa or walk up one side of the street in a little town and back to the car. If you have kids, always stop at a park so they can run off some pent-up energy and they will travel better the rest of the trip. Have some healthy snacks and drinks on board for everyone. Wherever your fantastic trip takes you, immerse yourself in that place. The best way is to first visit the local tourist information office, where you will always find nice people with great local knowledge. They want you to enjoy their area so ask them about the highlights, then do them. You are on holidays, it is your opportunity to discover new places and make some unforgettable memories. Take heaps of photos and videos so you can continue to enjoy your trip even after you return home. Children in particular will lock these times away in their minds and talk about them for years to come. What a great gift you have given them. Make sure you have a map to trace your journey with a highlighter as a permanent reminder of a very special time. 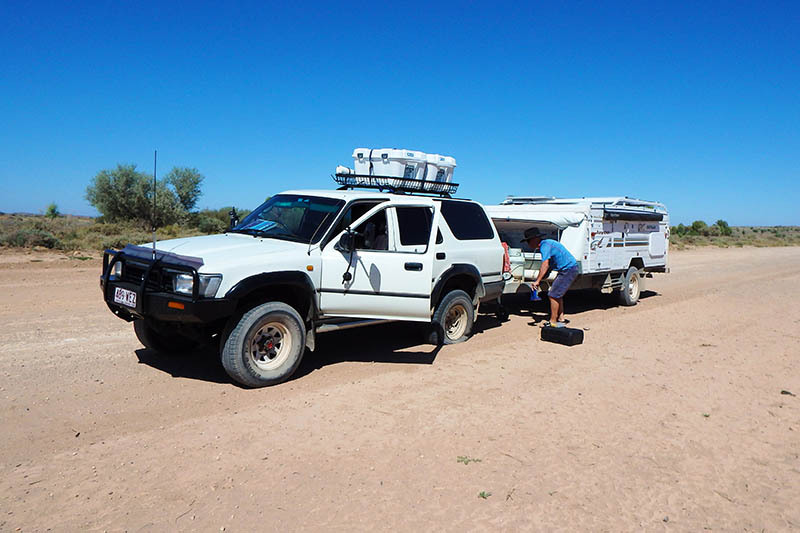 Bruce and Marg Gow are seasoned travellers, having been on the road in their caravan for more than five years. They are originally Victorians, but prefer to call themselves Australians as they love every part of this great country. Bruce and Marg share their travel stories and ideas on our website, as well as their Facebook page, Baby Boomers on the Road.